Can this be verified? Just speculation so far, so I was just wondering. Has anyone else seen these grab and go units in their Kingdom Hall instead of a literature counter? That's interesting Atlantis. I never saw those in the eastern United States, wonder if that's just that hall or a broader trend starting. Why get rid of the literature counter? That's one way ministerial servants get to look important, everybody comes up to talk to them to get their magazines. Yes, I can confirm. We just had a remodel at our KH, see one of my previous posts. 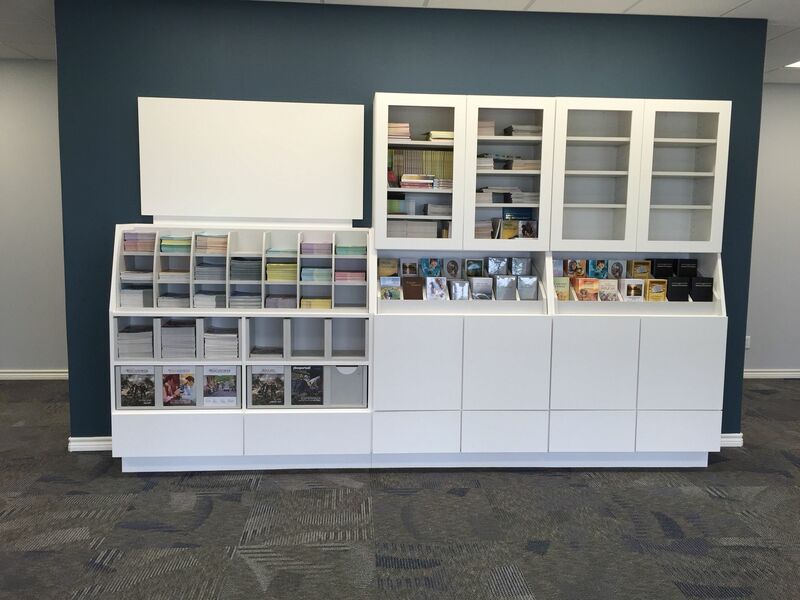 The literature counter was completely eliminated, replaced with a small IKEA cabinet, literally no more than 36” wide. Self-serve only for the basic items.....tracts, magazines, a few brochures. Everything else we have been instructed to download and use electronic versions. I sure do appreciate your info Tech, because I was a little surprised to read about those cabinets. Well, I guess those will take the place of the literature desks from now on. It just struck me as odd to see something like that in a Kingdom Hall. But then again, it is not at all the same organization I remember. The WTS has been on tract to eliminate paper based publications for awhile now. ....and being that paper publications are expensive these days are contributing factors to why the WTS is pushing to eliminate paper publications. maybe the bible and few tracts once in awhile. Self-serve only for the basic items..
Tech49, interesting, presently here, it is like taking candy from a baby, to get printed wt "study" copies, then being escorted to the contribution box. Yes, I’ve seen a new KH with no literature counter, just a self-service wall unit. Yes, Australia has them too. They must still have a MS who stocks the thing. What do they now call him? The cabinet servant?